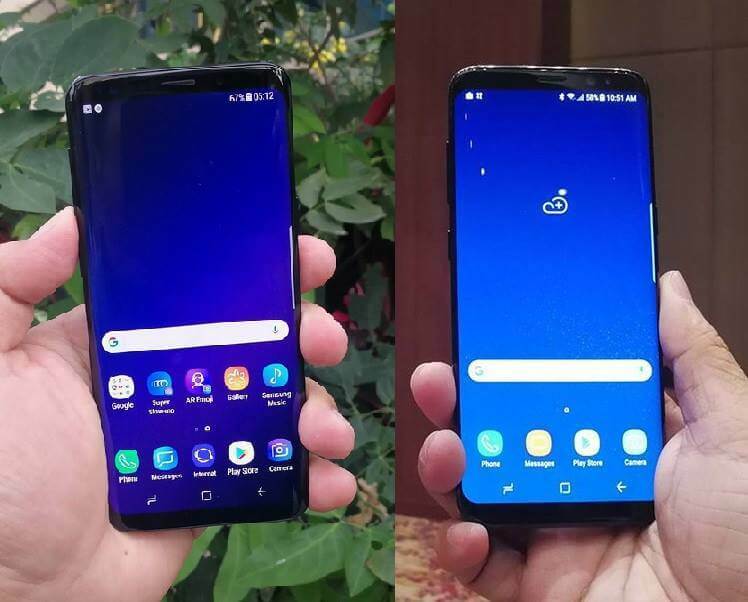 Home Compare Samsung Smartphones Samsung Galaxy S9 versus Samsung Galaxy S8; To Upgrade or Not? Samsung Galaxy S9 versus Samsung Galaxy S8; To Upgrade or Not? This is inevitable. Since we have the new generation Samsung Galaxy S series with S9 and S9+, it is only natural to compare it with the last generation. In this comparison, we are pitting the Samsung Galaxy S8 with the Samsung Galaxy S9. Let's see what improvements were made between the two generations. Our verdict on this is, if you have a perfectly functional Samsung Galaxy S8 then you don't have to upgrade just yet. They share pretty much the same specs still. However, we can expect the S9 to get better over time through software updates that can potentially add some more features that would set it apart from the S8. We expected the upgrade with processor and GPU. The biggest change is the main camera with the active aperture change that you can do from f/2.4 up to f/1.5.